Great experience. **** and his crew are excellent at what they do. The job was reasonably priced, and was completed quickly and efficiently. Would highly recommend! Very professional and experienced. Took down a very precarious willow for me at a reasonable cost. Couldn’t have done a better job. I would highly recommend them. 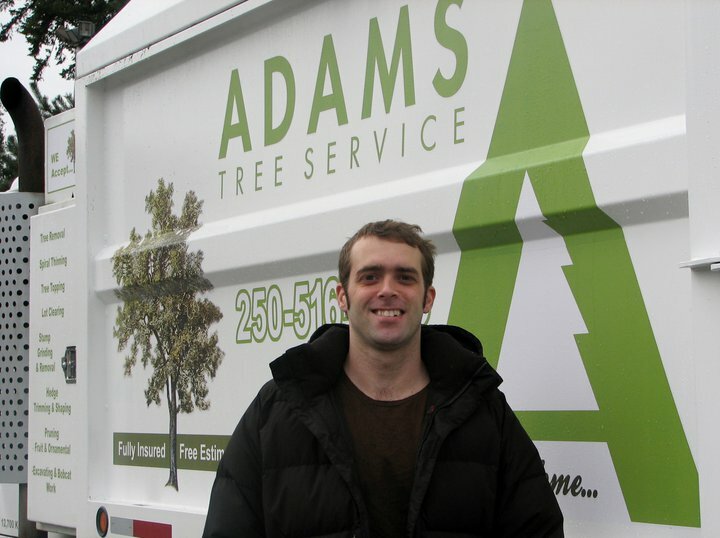 I was VERY happy with the service I received from Adams Tree Service. Good price, efficient and addressed all my concerns prior to doing the job promptly, NOT 2 – 3 weeks later like the other companies I contacted. I really appreciated his honesty in what needed to be done and the options he gave me. I would not hesitate to recommend Adams Tree Service and if I ever need trees removed again, he will be the only one I call.